150 years ago this month the one of the defining moments in nineteenth century American history occurred, when the Emancipation Proclamation took effect. Abraham Lincoln shifted the war from one to preserve the Union to a struggle to both restore that Union and free the enslaved African-American people. 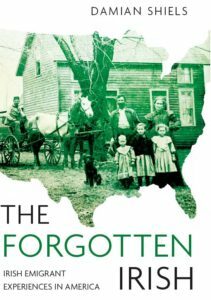 Perhaps the most challenging task when looking at the Irish-American experience of the American Civil War is attempting to comprehend why so many Irish felt such antipathy towards the black community. 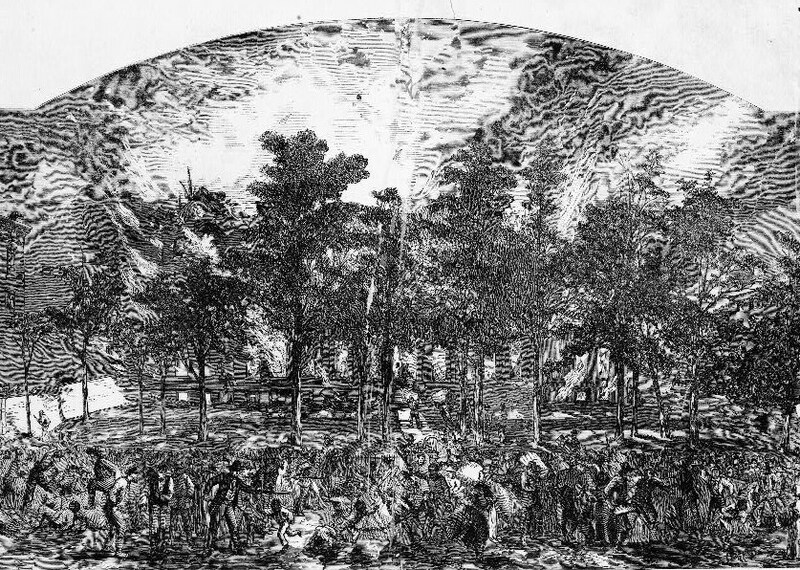 Such ill-feeling found its full expression in events such as the lynchings and beating of New York’s African-Americans during the 1863 Draft Riots, an event in which the majority of participants were Irish. Over the next year I intend to explore this topic further, through a number of posts that will examine aspects of the cause and effects that contributed towards Irish views. It is perhaps inevitable that we tend to view the majority Irish attitude of the 1860s towards African-Americans, slavery and emancipation with modern eyes and with modern sensibilities. As a result we are rightly disgusted and horrified at the level of latent racism prevalent in Irish-American communities of the war-era. However, it is often an affliction of modern society to view the past with a degree of over-confident righteousness, confident in our convictions that we would have done differently had we been alive. Such a superficial view does the past (and those who lived it) an injustice, and ultimately falls short of revealing any true understanding of the realities which led to the views expressed by historic communities. There were numerous factors at play that affected the dynamic between Irish and African-Americans in the nineteenth century, all of which are worthy of detailed consideration. This melting pot of ’causes’ includes elements as diverse as poverty, education, social status, discrimination, religion, constitutionality, political affiliation, survival and even fear. 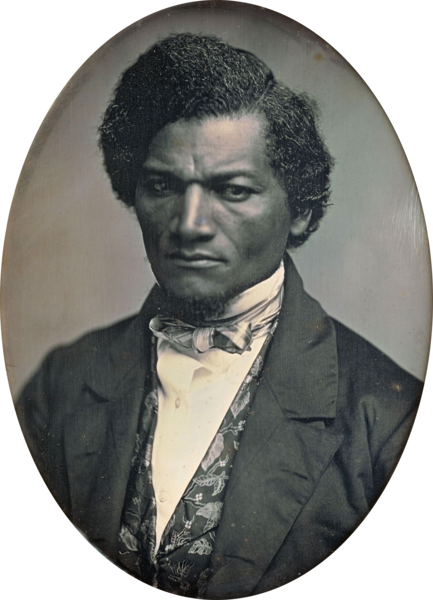 Douglass has identified two of the major drivers that led to conflict between the Irish and African-Americans. Discrimination immediately placed Irish immigrants at the base of the white social order, where they necessarily viewed freed African-Americans as their closest social rivals. In turn, this led to the two communities often directly competing for employment. In such circumstances, the Irish often felt they had to turn to their one ‘advantage’ in mid-nineteenth century America- their white skin. Such remarks highlight the complex views that some abolitionists held. That they vocalised them in an anti-Catholic and often anti-Irish way helped to increase the antipathy with which they were held by many among the Irish community. 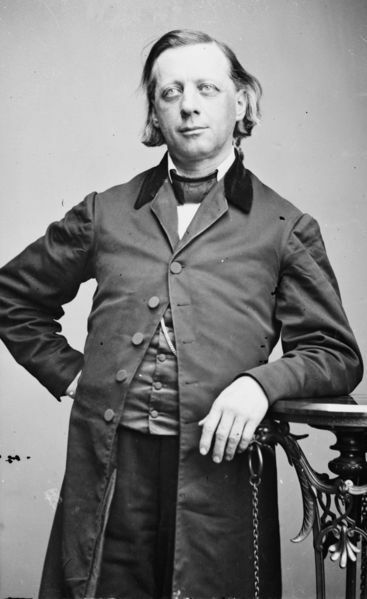 Beecher’s 1882 sermon also reveals that despite Irish service in the American Civil War, there was still much work to do in order for the Irish community to cast off the shadow of the 1863 Draft Riots and be fully accepted in the United States. Despite knowledge of the factors that led to attitudes such as the one expressed by the Irish-American, such pieces are nonetheless difficult to read today without being shocked by the level of racism exhibited. In future posts I will seek to further explore the causes of views such as these among the Irish community. I hope to look at many of the factors outlined above in further detail (poverty, education, social status, discrimination, religion, constitutionality, political affiliation, survival, fear) and also examine the views of some prominent Irishmen on the issue, such as Thomas Francis Meagher, Michael Corcoran, Daniel O’Connell and John Mitchel. I will also seek to draw out the views of ordinary Irish soldiers, north and south, wherever they discussed the issues of slavery, emancipation and African-Americans. It is also important to recognise that by no means all Irish were opposed to emancipation (Colonel Patrick Guiney of the 9th Massachusetts Infantry is but one notable example) and these men too will figure in future posts on the subject. For any of us interested in the Irish experience of the American Civil War, it is important to address the Irish reaction to emancipation from late 1862 onwards. This is best achieved through an examination of the historical record in a search for the factors that influenced that reaction- hopefully allowing us to come to a fuller understanding of this complex question. I think you hit the nail on the head when you point out the economic rivalry – whether real or perceived – between the Irish and blacks of some 150 years ago. Politicians stirred that pot in the north then, and continued to do so on a larger scale (poor whites-vs.-blacks) for a much longer period in the South. It was a successful strategy for a long time. In addition, I would think that there is, unfortunately, a natural human tendency for marginalized groups to seek out an even more marginalized group to look down upon. The Irish were marginalized; by demonizing blacks they could in some way feel that they were superior to at least one other group. Nobody wants to be at the bottom of the barrel. Absolutely. From the Irish perspective, no matter how low they got, from their viewpoint at least they were still white. It is interesting how this proximity on the social scale tends to breed the most intense antipathy. An excellent beginning to a topic that is even today difficult to engage people in. The guilt, fear and shame are alive and well here in Indiana, not to mention the white supremacist attitudes and economic rivalries that now also include Hispanics. It’s a vitally important discussion to have; the Irish role was so strong- it is a excellent lens with which to view past dynamics and I believe, current dynamics as well. We are not so far from 1863. There are people serving in Congress right now whose great-grandfathers served in the war. That’s mighty close, considering how little strongly-held cultural traits like racism and religious beliefs change from generation to generation. We delude ourselves that racism is in our past. Nothing could be further from the truth. Many thanks for the comment- I think you are spot on when you say we can use history such as this to teach us something about the race dynamics that are still affecting society today. It is an ‘ugly’ topic, even after 150 years, and it has taken me some time trying to figure out how best to tackle it on the site. Well done. I was well aware of the arguments put forward in the article, but had not realized that Douglass had been to Ireland. His quote on the situation is spot-on.The point of the New England abolitionists espousing rights for the blacks yet denigrating the Irish further polarizing the Irish against abolition is well-taken (and most-times completely ignored). I look forward to reading your further research and articles and will share among my friends and colleagues. Thanks Tim- I hope to write more on Douglass in Ireland in the future- he was quite taken with the country and gave a number of lectures here, it was clearly a struggle for him to then see how the Irish altered their view towards him and others when they emigrated to the United States- again something I hope to look into in more detail. Thanks for the comment John. Absolutely, in many instances on the levees and elsewhere Irish labour was preferred, as slaves were often regarded as too valuable to risk on such hazardous work. Of course, this is not to say that the Irish were worse off than their African-American counterparts, who after all were enslaved and did not even enjoy the restricted element of choice that was available to the Irish. I highly recommend David Gleeson’s ‘The Irish in the South’ for the Irish experience in the Southern States, particularly in the ante-bellum and post-bellum period, it is a magnificent piece of work. This is a really great article. I read it a number of times and learned something new each time or something else I wanted to learn more about. I visited the LBJ Library yesterday and learned more about the Civil Rights Movement. A hundred years later, and now 150 years later, many of those feelings are still a part of the lives of the people alive today. I read that some of the leaders in the Civil Rights Movement could not stand Catholics, especially Irish. It’s just real interesting to me how people think and act. I really liked your comments about it’s hard to get beyond our modern eyes. That’s why I also think walking battlefields, spending time doing and watching living history helps with our understanding. As I posted on my Facebook page, I think we need to spend more time studying our Civil War in school as it still has an impact on our life today. Many thanks for taking the time to read the post! I agree, the fascination with history is observing how people thought and acted, and trying to understand it. It is very easy for us to miss the complexities that lead to certain realities, such as the Irish view towards African-Americans or indeed some emancipationists view towards the Irish. One of the things I find very sad about the whole American Civil War (and this becomes particularly clear after reading Blight’s ‘Race and Reunion’) is how it was to be 100 years before the fruits of emancipation were truly felt. Reunion trumped emancipation and equal rights for an incredible period of time, which is a pity give the loss of life the Civil War exacted for the sake of both. The Civil Rights movement in that sense is a very real extension of what had originally been won on the battlefields of the War. By the way keep up the great work you are doing- I greatly enjoy all your posts! I loved this post and it just goes to show that the following is justified…Thank you, Damian. Damian, keep up the great work, love your stuff. Thanks Ron, it is great to hear you enjoy it! Interesting piece. One point I would like to venture, about the reason for many abolitionists’ suspicion and contempt for Irish immigrants, would be their general contempt and mistrust for working-class whites. Most of the abolitionists in the North were from the yankee intelligentsia, i.e, descendants of Anglo-Protestant settlers mostly having considerable wealth and education. The likes of Wade Bluff and Thaddeus Stephens come to mind. They had a very natural hatred and contempt for working-class and underclass Whites ( whom they preferred to call poor white trash, even Abe Lincoln was not spared this badge ). The Irish-Americans in the cities, much like the rural Ulster-Scots settlers in the Appalachians, fit the label perfectly. Interesting read from Michael Patrick Mcdonald who grew up in South Boston during the busing conflicts. One of the eye-opening aspects of that was how the proponents of busing forced the change on South Boston but did not include the exclusive communities where they came from – Brookline, Newton, Wellesley, Milton, etc. South Boston was such a tight-knit community that busing was bound to be disruptive. Much of the violence was ignited when Soutie kids started coming home from predominantly black schools getting beaten up by mobs of black students. Check it out.